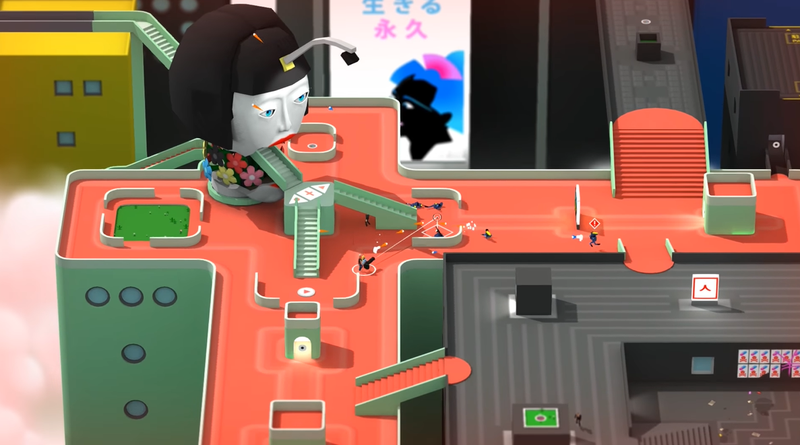 Tokyo 42 came out earlier this year and while its cyberpunk ninja sprawl was both beautiful and exciting to navigate, the game’s camera didn’t always play nice. SMAC Games, the studio behind the game, recently published an update to address the issue and Paul Kilduff-Taylor, a developer on games like Frozen Synapse and Frozen Cortex, discussed the solution in a recent Medium post. Instead of fundamentally redesigning how the camera works, something that no doubt would have been a pretty dramatic and time-intensive undertaking, the developers decided to make the camera itself less important. The game’s latest update, released last week, de-emphasizes the camera by making silhouettes of the player’s avatar and the surrounding characters so that even when the camera’s not in the ideal position, all of the relevant information needed to play is still easy to see. 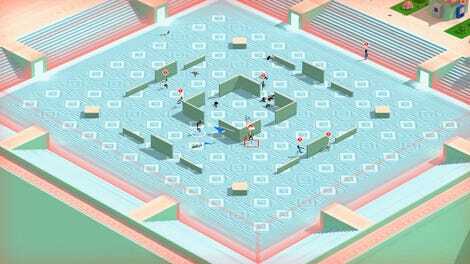 As an isometric game, Tokyo 42's in-game camera can be changed between each of its four orientations by tracking right or left. Since the game is about taking down enemies stealthily and navigating futuristic skyscrapers like an parkour ninja, having the camera where it needs to be in any given situation is important. While I didn’t have much trouble with the camera during my playthrough, Kilduff-Taylor quotes a number of reviews all complaining about it in their recent post. He additionally notes that it would be extremely easy to be defensive in the face of these reactions and goes on to hypothesize about how some designers might respond. “The camera controls are demonstrably not ‘fiddly’ or ‘dumb’: I challenge anyone to come up with something more intuitive than the defaults,” he wrote, describing how they might have publicly responded at the time. But “being defensive is always the wrong approach to feedback of any kind” he added. He then goes on to outline the thought process behind deciding when something’s wroth iterating on vs. simply being endemic to the underlying design. 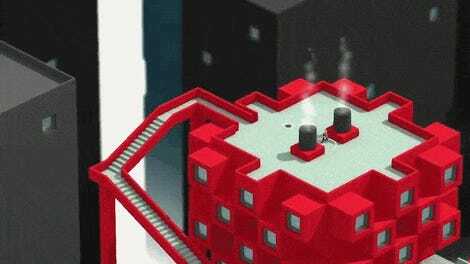 Basically, what it comes down to is the Tokyo 42 team decided that even if the camera couldn’t be completely changed, they could “take the edge off” by addressing what was driving the issue in the first place, namely players needing access to awareness of a 3D space through a 2D plane. SEAN: Shaders are extremely powerful tools and from a performance perspective the use of more complicated shaders didn’t tighten the CPU bottleneck that the game is currently under. We elected to attach a slightly more complex shader to the important entities for this reason — not to mention that the workload overhead for this approach was much more within the bounds of what we as a studio could afford to do. MACIEK: It’s a good change, you can now identify enemies much more easily and even continue to dodge incoming fire even when you are behind terrain. I don’t think it changes the game massively, it maybe puts a bit more focus on the bullet hell side of things as it is now a spot easier to manage where previously you needed to be very deliberate about your approach and hidden dangers. Overall it’s an interesting insight into how designers try to solves problems brought up by the people who play their games once they’re out in the wild, especially for a studio that’s small and has lots of control but limited resources to implement fixes. You can read more about the subject here and definitely pick up Tokyo 42 if you haven’t already (currently on Xbox One, PS4, and PC, and probably coming to Switch sooner or later). The game’s one of this year’s best and getting better all the time.